Preheat the oven to 350 degrees & set the spiral cut ham in a heavy roasting pan. In a food processor fitted with the steel blade add the chopped garlic, mango chutney mustard, brown sugar, orange zest and orange juice and process until smooth to make the glaze. 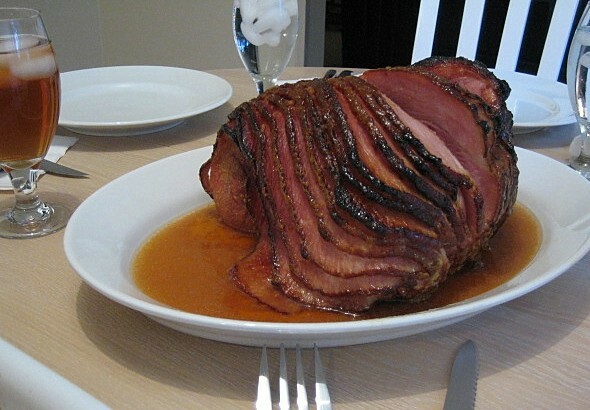 Pour the glaze over the ham and bake for 1 hour and do not cover with foil. After an hour the ham will be heated through and the glazed will be nicely browned. this looks yummy , I am thinking thanksgiving !